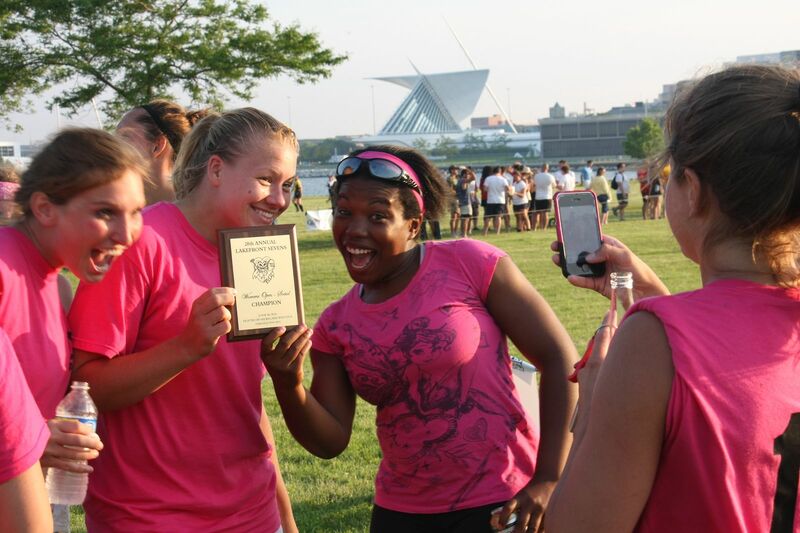 Highlights of the 2010 Lakefront 7s. In a rematch of the 2009 Lakefront 7s final and the 2010 Firehouse 7s final, the Chicago Lions and Milwaukee RFC met again in a close contest on the shores of Lake Michigan. The Lions would be the victor with a 19-12 scoreline at the whistle. The Lions recieve 6 points in the Midwest 7s series and $1000 in prize money from USA Sevens LLC who sponsored the Championship Cup Series that ran parallel to the Midwest Qualifier. 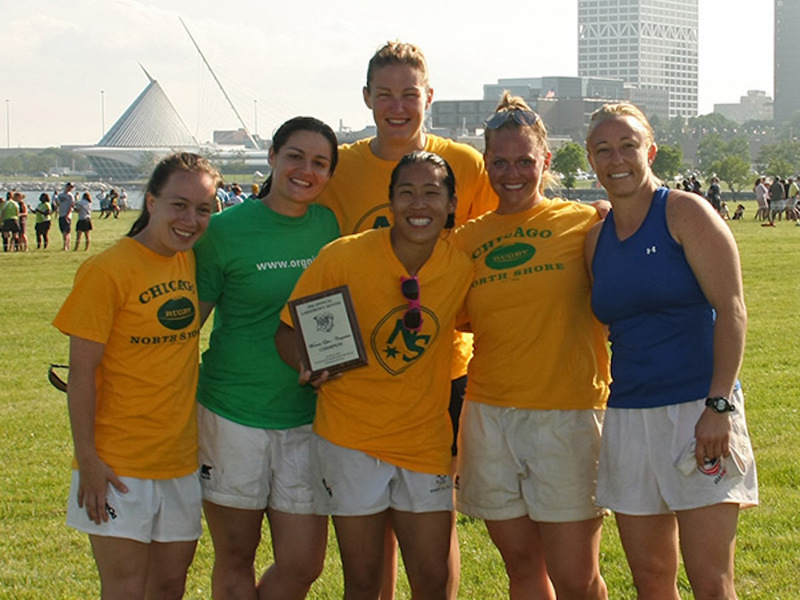 The Chicago North Shore captured the Women’s Competitive Championship at the 2010 Lakefront 7s Championship. Their run to the title included two shut outs in the seeding round and another in the semi-final against their cross-town rivals the Chicago Women. 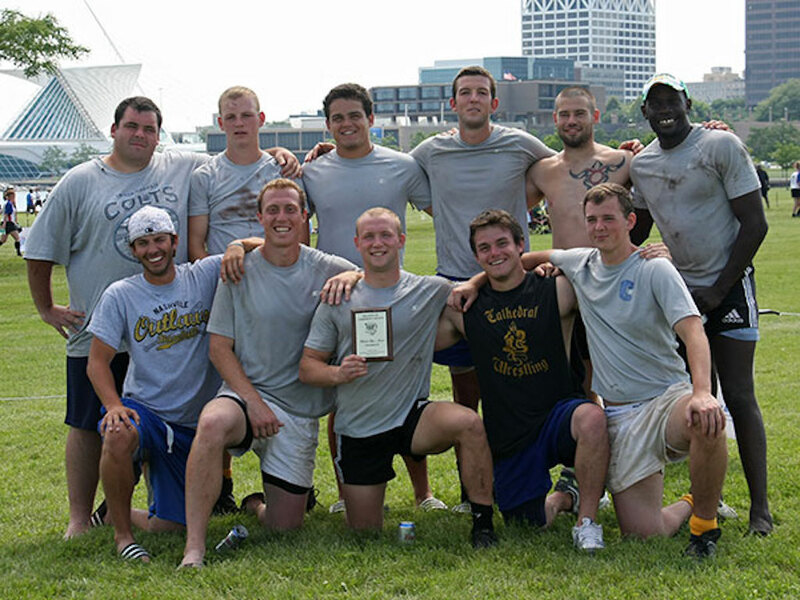 The C-side C-men captured the Men’s Competitive Championship at the 2010 Lakefront 7s Championship. The C-men were undefeated in the seeding round and had a 22-7 victory ove Muskeego in the semi-final. The Indy Misfits defeated the NW Woodsmen to win the Men’s Social 1 bracket at the 2010 Lakefront 7s Championship. The Misfits were the second seed followig pool play but had a confident win over the Chicago Riot in the semi-final to reach the championship match against the 1st-seeded Woodsmen. 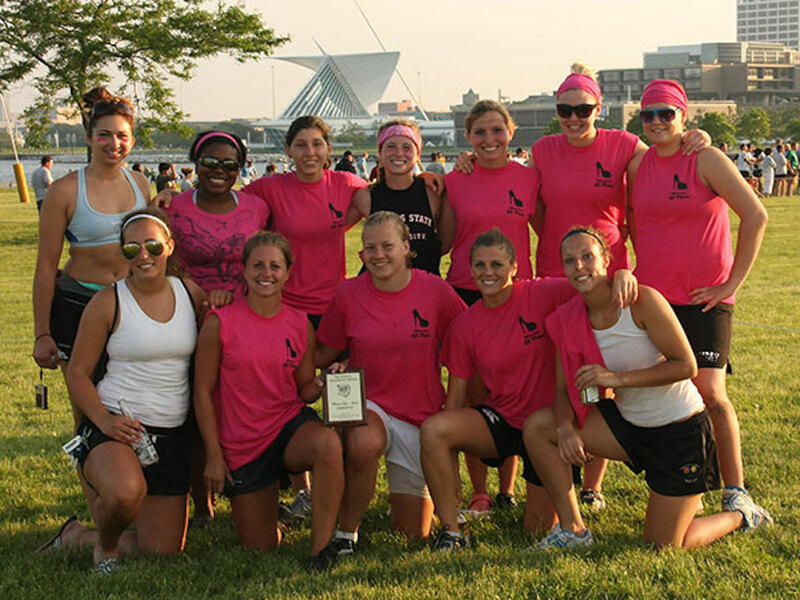 The All Pink Cougars won the Women’s Social bracket today at the 2010 Lakefront 7s Championship. The Cougars were undefeated throughout the day and were impressive in defense. Their last 4 matches were shut-outs and in their first match they only gave up a single try. Over all 5 matches, the Cougars racked up 145 points on offense. 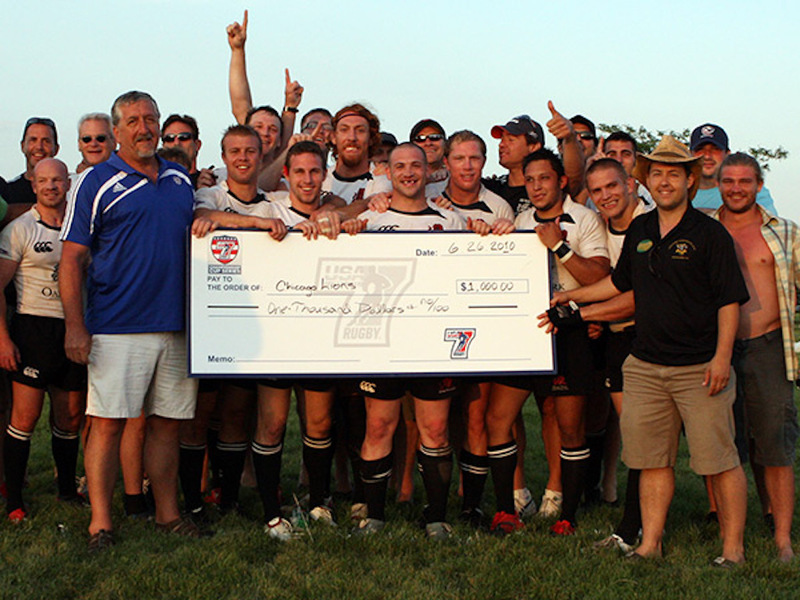 The Chicago Condors won the Men’s Social 2 bracket today at the 2010 Lakefront 7s Championship. Their 40-0 shut-out in match 2 of the seeding round was one of the highest point-differentials of the day but the championship would come down to a close contest versus Krakens out of Frankfort, IL. Muskego won the High School Boys bracket today at the 2010 Lakefront 7s Championship. Muskeego had a unique path to the hardware this year. First, one team in their pool of the Seeding Round cancelled at the last minute. We were unable to find a replacement, and thus Muskeego and the other teams in that pool only played two matches. In 2009, USA Sevens LLC brought together 5 of the finest rugby sevens tournaments in United States with the intent of developing a domestic circuit for the sport. Teams competed in these five tournaments (Vegas Midnight Sevens, Cape Fear Sevens, Denver 7s, Kansas City Blues Sevens, New York Sevens) to qualify for the Championship Cup.